So it’s come to the end of January, the days are still dark and your bank is still empty; for most of us the sparkling mind set of New Year, New Me has well and truly worn off – reverting back to the exact same Me as always… well (with an extremely smug attidutde) I can proudly say NOT ME! Oh no my friends, I am well and truly on that healthy high road, cruising down at super speed with no intention of stopping! Why is this I hear you cry, well it’s all thanks to Virgin Active! Virgin Active picked 21 bloggers and set them the challenge of creating a healthy habit, over a 21 day period (starting to see a trend here with 21?!). The reason it was over 21 days was because that is how long it takes to create a sustable routine – and boy is it true! Each of the 21 bloggers had their own personal goals and challenges, and for me 2017 sees my biggest challenge ever! Yes, for some unbeknown moment of madness I decided to sign up to run the London Marathon – even more shocking is I actually got a place! So yes, I needed all the healthy fitness habits I could get! 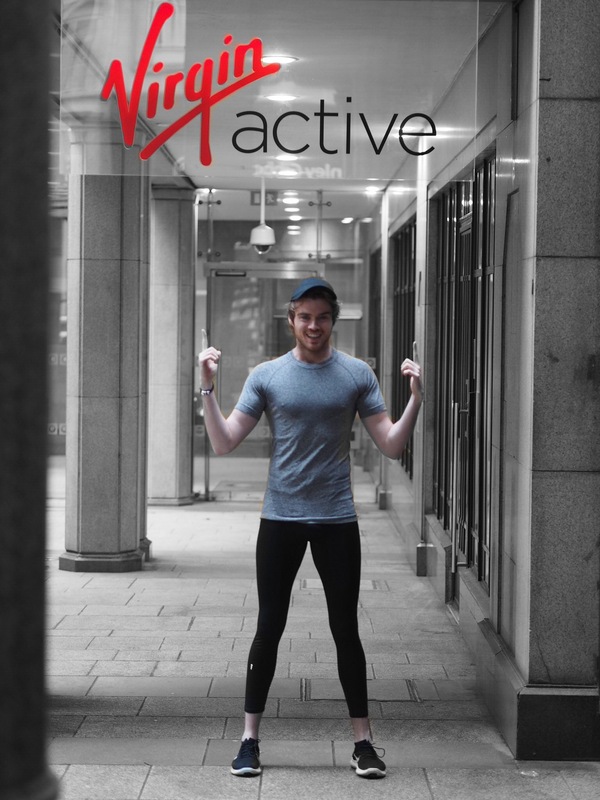 I joined Virgin Active on The a Strand – part of their Collection Tier gyms, and it is easily one of the nicest gyms I have ever seen. Here I met Bryn, my amazing personal trainer who over 21 days has managed to completely realign my way of thinking when it comes to running! Over the 21 days I never once ran on a treadmill – in fact we never did any running together, instead we focus completely on making my legs muscles stronger, excercise that would help me push myself round that entire 26.2 mile course! 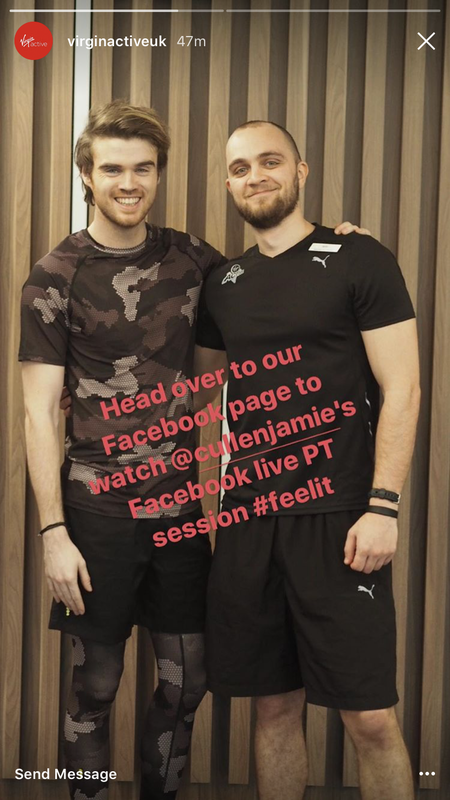 We even took part in an amazing Facebook Live for Virgin Active (if you fancy a leg work out check it out here – ENJOY) where we showcased some of the excercises!! 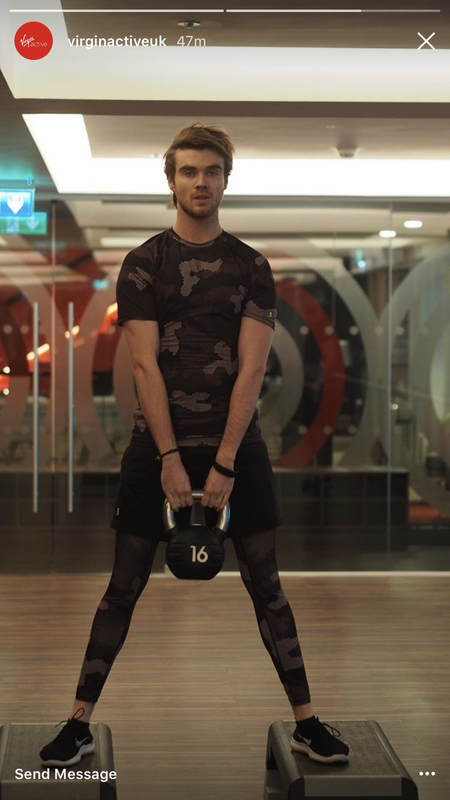 But there was so much more to Virgin Active The Strand than just the amazing trainers, they also have incredible classes for all levels and fitness needs! I became a big fan of The Pack, a Virgin Active Spin Class where your race in groups and compete in he hopes that your team is victorious ! Or Zuu, a fitness class that Bryn encouraged me to take, the only way I can desibe it is that you use your own body weight mixed with animal style movements for epic results! Virgin Active also team up with Soulmate Food, an increidble company that can deliver your weekly food straight to your door depending on your fitness needs – Build, Burn, Balance. As I already resemble the body shape of an asparagus we had to make sure I didn’t loose too much weight from running in my free time, and really gave my muscle the neutriants they needed to bulk up and get strong, so obviously I was on the Build Plan. This involved a high carb diet(the DREAM!) with moderate to high protein and veg! The food was delicious, Katsu curries, chorizo pasta, everything was divine! On top of that Soulmate Food actually run the restaurant in Virgin Active on the Strand so I could have tasty food everyday! Now feeling good on the inside is amazing, but you also want to look good on the outside, and you need some great clothing to show off those toned gym body goals! Throughout my time I wore the debut New Look Men Sport collection – brand new for 2017 Spring. For a fashion brands first attempt at activewear it really is incredible! The material clings to you in all the right places, making your torso look chiselled, while not making it out like you have love handles! If you’re looking for something affordable to train in, you need to check them out! So I’ve made it through, and I’m already booked in for classes this week! I couldn’t have done it without the a,axing support of my blogger friend on the journey with me, especially Ed Lemont ! 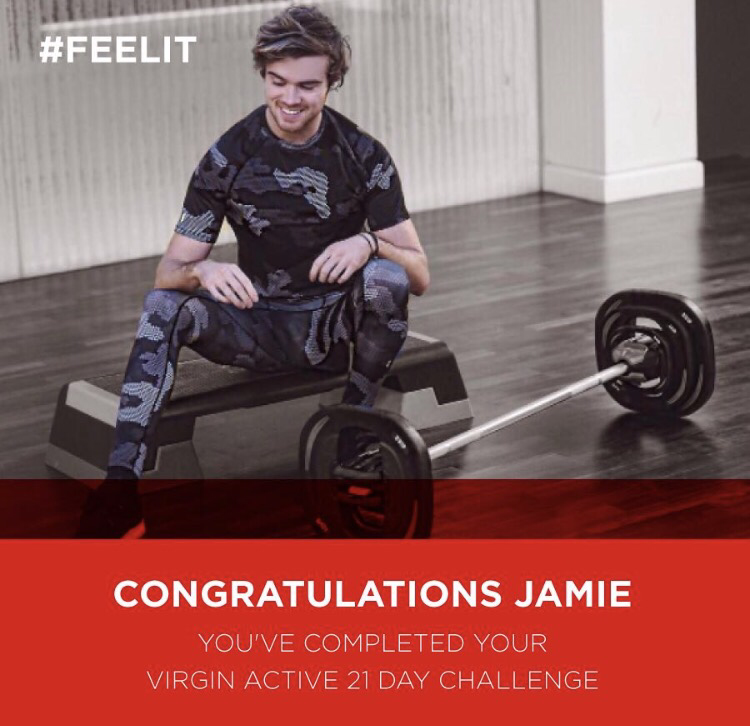 So if you can completely do it guys – 21 Days is all it takes to create an amazing sustainable habit – even as I type this I am on my way to Virgin Active The Strand!